For Eden, hope is rekindled when her estranged husband delivers the astounding news: that their lost baby girl has been found. Years ago Eden and Clay Larson’s baby was stolen. Kidnappers demanded a ransom, but something went horribly wrong at the exchange: the kidnapper’s car crashed into the river and was never recovered. Eden blamed herself, Clay lost himself in work. Their young and rocky marriage ended. Or so Eden thought. 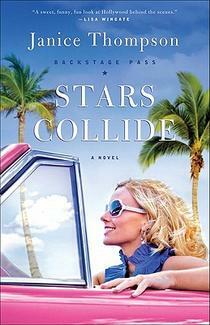 This is the fourth book in Colleen’s Lonestar Series. 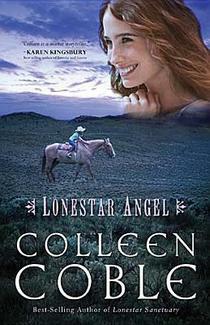 Colleen has said that Lonestar Angel is her favourite in the series and I have to say it’s mine too. Right off the bat I took to this one more than any others in the Series (not that I didn’t enjoy them, just seem to connect with this one better). I think the main reason was the Eden and Clay are already married. Whilst in the previous three books all the marriages were ones of convenience. This was Colleen’s intention all along, but I always found modern day marriages of convenience difficult to swallow. I can always buy a marriage of convenience in a historical book, just modern ones are harder to accept. I liked the fact that Clay and Eden, although married don’t really know each other. Watching them get to know each other after five years apart was fun and interesting. As always, I liked Clay. Colleen has a habit of writing great male leads and Clay is right up there with them. He’s a man of action, a problem solver who is not used to showing his emotions. This leads him to be perceived as businesslike or someone just doing his duty with no love in the act. 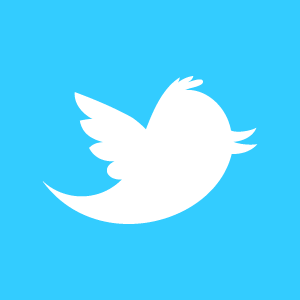 When really he is loving by doing those acts, he just can’t find the words to express it. He does find those words to give Eden in the end! For me this book is the best of the Lonestar Series. Thanks Colleen! I hope there's more in the series!